ThreeBestRated.com included our own Dr. Gregory Snodgrass in their recently released list of Gainesville’s three best eye doctors. This praise comes as no surprise to his patients or to those who have worked with him. Dr. Snodgrass has been a fixture in the Gainesville medical community for 30 years, improving the vision of thousands of patients, and earning the respect of his peers. ThreeBestRated evaluates multiple categories of local goods and services providers, including healthcare. 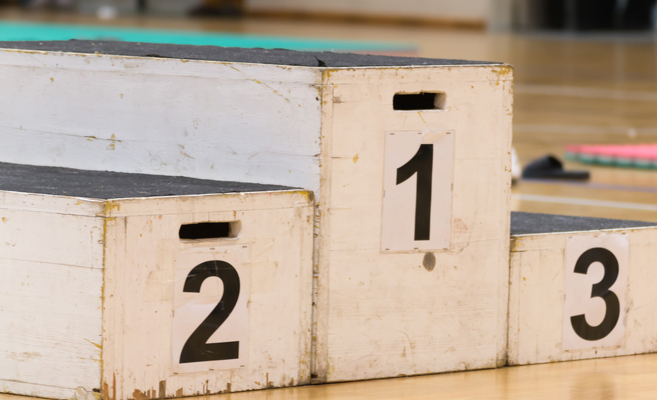 The site’s staff handpicks the top three providers in each category using their “50-Point Inspection,” which includes checks on each provider’s reputation, history, complaints, ratings, satisfaction, trust, cost and general excellence, among other criteria. Dr. Snodgrass earned his medical degree from the West Virginia University School of Medicine, and completed his internship and Ophthalmology Residency at Riverside Methodist Hospital and The Ohio State University. As reflected by his inclusion in the list of Gainesville’s Best Eye Doctors, Dr. Snodgrass is known as one of the area's premier ophthalmologists, combining advanced skills with state-of-the-art technology to deliver outstanding results. Dr. Snodgrass specializes in traditional and laser-assisted cataract surgery, and is adept at all phases of comprehensive eye care, including vision assessment, treatment of dry eye syndrome, diabetic retinopathy, blepharitis, glaucoma, age related macular degeneration and more. If you’re experiencing vision challenges, Dr. Snodgrass may be able to help. Contact North Florida Cataract Specialists and Vision Care today at 352-373-4300 to schedule your initial consultation. Are Eye Drops Enough for Dry Eyes? If you suffer from dry eyes, you know how physically painful and emotionally irritating the condition can be. The stinging, scratchiness, excess tearing and other symptoms of dry eye syndrome are enough to make you not want to get out of bed in the morning. You need relief, but how can you get it? Simple over-the-counter eye drops may suffice for some people, but others require more comprehensive treatment for dry eye syndrome. Many people head straight for the vision care aisle of their local drug store when their eyes start hurting. They presume a little moisture in the form of artificial tears eye drops will relieve the burning, grittiness and redness they self-diagnose as dry eye. While these eye drops can indeed provide temporary relief for some patients, they don’t correct any of the root causes of dry eye syndrome. Your eyes have a thin moisture layer on the surface. To remain healthy, that moisture has to be in sufficient quantity and composed of the right mix of mucus, saline (salt water) and oils. Factors including age, gender, medications, environment and medical conditions can disrupt the normal, healthy flow and ratio of these elements. When they’re out of balance, you experience dry eyes. Selecting the best treatment method for your specific dry eye cause and symptoms requires special diagnosis by a trained eye care professional. A comprehensive dry eye examination may include testing the composition of your eyes’ moisture layer, checking how well your eyes seal when closed, screening for certain protein markers in your tears and evaluating the meibomian glands that run along your eyelids, among other tests. Once properly diagnosed, your eye care provider will recommend a course of treatment. Over-the-counter or prescription eye drops may very well be part of your dry eye treatment plan. Your treatment plan may also include things like LipiFlow Thermal Pulsation, Cliradex Complete or Prokera Slim. These specialty in-office procedures are designed to help treat the causes of your dry eye discomfort. The Dry Eye Center for Excellence at North Florida Cataract Specialist and Vision Care is a leader in diagnosis and treatment of dry eye syndrome. Our specially trained staff help relieve patients’ dry eye pain every day. Contact us today at 352-373-4300 to schedule your dry eye consultation. Few things in life are more precious than your eyesight. For most people, it’s hard to imagine never again seeing the smile on a child’s face or the hues of a glowing sunrise. So, what can you do to protect your eye health? Following these three tips will give you the best chance to maintain great vision throughout your life. Mom was right when she told you that eating carrots was good for your eyes. 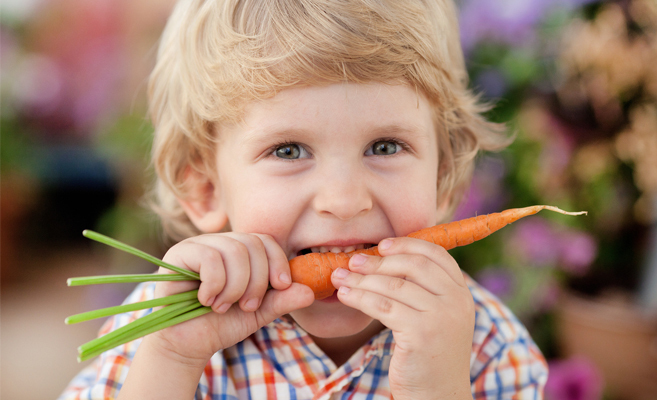 Carrots are rich in a red-orange pigment called beta-carotene, which the human body converts into vitamin A. Maintaining a healthy vitamin A level helps prevent cataracts, macular degeneration and blindness, among other eye conditions. Of course, carrots aren’t the only foods that promote eye health. Leafy greens like kale and spinach provide antioxidants lutein and zeaxanthin. Oily fish like tuna and salmon deliver a healthy dose of omega-3 fatty acids. Nuts and beans contribute vitamins E and A. Citrus and berries provide critical vitamin C. Collectively, these foods give your body many of the key nutrients for eye health. The eyes are included on the long list of body parts adversely affected by smoking. Smoking increases your risk for cataracts, glaucoma and age-related macular degeneration. It also increases your chances of developing diabetic retinopathy and uveitis, a condition affecting the middle layer of the eye. Smoking can also worsen dry eye symptoms for smokers, and for anyone exposed to secondhand smoke. Regular eye exams are a critical part of maintaining eye health. Many eye diseases don’t show symptoms until they’re fairly advanced. 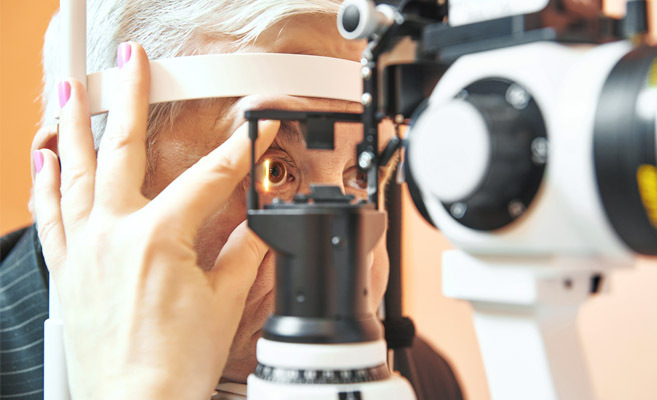 Identifying and diagnosing these conditions early can allow you and your doctor to enact a treatment plan to help you maintain your vision quality. 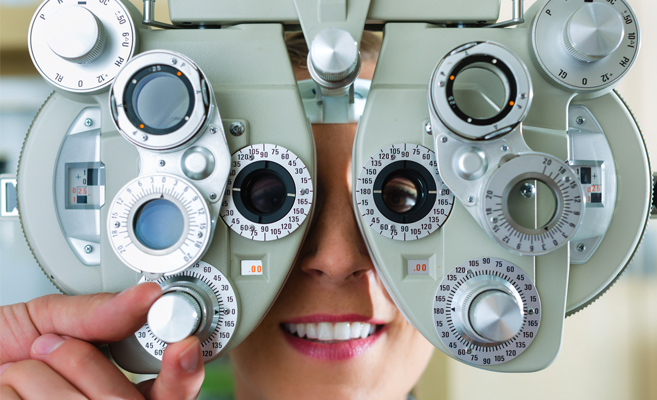 In addition to vision challenges, an eye exam can uncover other undiagnosed health issues. Brain tumors, diabetes and high cholesterol may all be identified through the course of a comprehensive eye exam. Your eyes are too important to take for granted. By taking just a few simple steps, you can improve your chances of maintaining quality vision for the rest of your life. If it’s time you had a comprehensive eye exam, contact us today at 352-373-4300. At North Florida Cataract Specialists and Vision Care, we offer convenient hours at our locations in Gainesville, Tioga Town Center and Lake City. We hope to see you soon. Contact Lenses and Teens: A Good Fit? Being a teenager is never easy. Even the most self-confident teen sometimes feels out of place, or worries he won’t be accepted for one reason or another. These types of concerns often cause teenagers to feel uncomfortable wearing eyeglasses, and lead them to want to try contact lenses as an alternative. But are contact lenses and teens a good fit? Truth is, contacts are a perfectly viable means of vision correction for many teens. In fact, thousands of teens across the United States wear contact lenses every day. Contact lenses are designed to address a variety of vision needs, from nearsightedness and farsightedness to astigmatism and more. Wearing contacts can also help a teenager feel more attractive, and even make him more outgoing. Contact lenses also have practical benefits for teens involved in sports or extracurricular events, as they won’t fog up, slide down your child’s nose or break from a collision. When necessary, contacts also allow your child to easily wear protective goggles or non-prescription sunglasses. A few years ago, researchers from multiple colleges of optometry published the results of their Contact Lenses in Pediatrics (CLIP) study, examining the impact of wearing contact lenses on 85 teenagers. 73% of teens reported receiving positive feedback from peers as a result of their switch to wearing contacts. 65% reported wearing contacts improved their performance in activities. Researchers also found no serious adverse effects on participants from wearing contact lenses. There’s no specific age at which contacts become suitable for young people, but many eye care professionals suggest waiting until somewhere between ages 11-14. The biggest factor is your child’s individual responsibility level. Is he or she ready to handle the maintenance routine required to wear contacts? Thankfully, the CLIP study reported 89% of teens found it easy to clean and take care of their lenses. If you and your child are ready to take the next step towards switching to contacts, schedule a consultation with North Florida Cataract Specialists and Vision Care. Our optometrists and opticians will craft the ideal prescription to help your teen see – and look – his very best. Is There Pain After Cataract Surgery? Pain. As human beings, we understandably avoid it whenever possible. Sometimes, however, the fear of pain is so powerful that even the possibility causes us to neglect important aspects of our health. Fear of painful recovery is one reason many people put off surgeries, including cataract surgery. But here’s a little secret…recovery from cataract surgery is often 100% pain-free. Cataract surgery has come a long way in recent years, particularly with the advent of laser-assisted cataract surgical methods. With laser-assisted cataract surgery, recovery is generally pain-free, with few, if any side effects. You’ll start with a consultation with your ophthalmologist to evaluate the progression of your cataract symptoms. Together, you’ll decide if the time is right for surgery, and if traditional or laser-assisted surgery is right for you. Assuming you opt for laser-assisted cataract surgery, you will arrive at the eye surgery center on your scheduled day and receive a local anesthetic. Inside the surgical suite, the doctor will use the laser-assisted surgery system to scan and map the details of your eye(s). The doctor then uses a laser to make a tiny, precise incision in the eye lens. The old cataract-affected lens is broken up and removed, and a new artificial lens implant is put back in its place. The entire procedure is completely pain-free and generally requires just 10-15 minutes. Immediately after the procedure, nurses will make you comfortable in a recovery room. Then, typically after just 30-60 minutes, you are released for someone to drive you home. Many patients report improved vision before even leaving the surgery center. Patients are generally recommended to wear an eye shield off-and-on for up to a few days. Common short-term side effects include some cloudy or blurred vision, and potentially some redness. The risk of more serious side effects is less than 0.5%, making cataract surgery one of the safest procedures in the country. The really great news is cataract surgery is a permanent fix for cataracts. Your cataracts cannot come back. So, if concerns about pain have prevented you from correcting your cataracts, fear no more. Contact Dr. Gregory Snodgrass at North Florida Cataract Specialists and Vision Care today to schedule your consultation. One of the great things about our community is the access we enjoy to world-class healthcare. That extends beyond our hospitals to the local physicians who keep you healthy every day. Included in this is our area’s excellent selection of eye care practices. 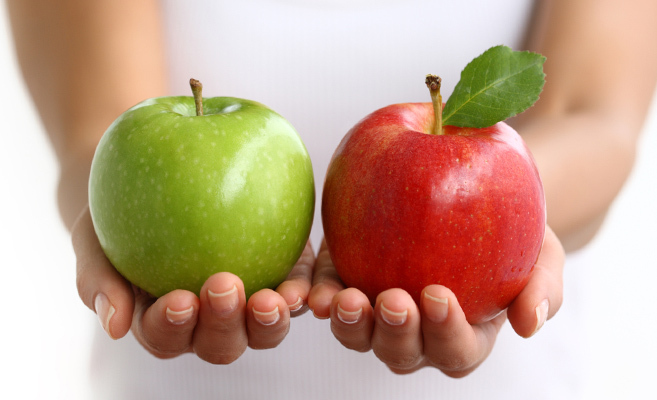 But with so many talented physicians to choose from, how can you select the best one for you? Experience matters in most areas of life, and especially in healthcare. Experienced physicians have simply seen more, providing additional insights to diagnose and treat your vision needs. Dr. Gregory Snodgrass has been a practicing eye physician in our community for 30 years, and performed more than 20,000 successful cataract surgeries. He’s well known as one of the area’s finest ophthalmologists, and was even invited to join the prestigious International Association of Healthcare Professionals. A comprehensive eye care practice can treat the whole family, providing everything from regular eye exams and complete optical services to treatment of eye diseases and even eye surgery. North Florida Cataract Specialists and Vision Care provides patients access to the full scope of eye care services. While not every patient needs every service, many find it reassuring to know their eye doctor can continually care for their changing vision needs. Is your eye doctor’s office stuffy and uncomfortable, or modern and inviting? Most people prefer the latter. A great eye practice office should make you feel right at home, and also be equipped with state-of-the-art technology to provide you the best diagnosis and treatment. North Florida Cataract Specialists and Vision Care has three beautiful locations in Gainesville and Lake City, including our newest office on NW 8th Avenue and NW 43rd Street. Just as important as the eye doctor him- or herself are the people who work with you from the moment you walk in the practice door. From the receptionist to your optometrist, it’s important to find a place where the staff goes out of their way to put your needs first. North Florida Cataract Specialists and Vision Care’s staff are happy to answer questions and explain your eye care options. You won’t find a more dedicated team anywhere. If you’re looking for a new eye physician, or just want a second opinion on an existing diagnosis, we would love to meet you. Contact North Florida Cataract Specialists and Vision Care today at 352-373-4300. Visual acuity is a measure of how clearly you see things. You will be asked to read letters from a chart while standing a set distance away. Most people are familiar with this test. Picture the white chart of letters with a big “E” at the top and lines of smaller letters moving down the chart. The smaller the letters you can read, the better your visual acuity. Pupillary reactions are the reflexive way your pupils (the black center of your eye) behave to changes in incoming light. Your pupils should dilate (become smaller) as the doctor shines a light into your eyes and expand when the light is taken away. Extraocular movements reflect the function of the muscles that control the motion of your eyes. This is another non-invasive test, in which the doctor will ask you to focus on a pen or other small object as he or she moves it in front of your eyes. Confrontation visual fields is a measure of the breadth of your field of vision, i.e. the extent of the area your eyes allow you to see. While sitting in front of you, your eye doctor will extend his or her arm out to the side with one finger raised. You will cover one eye. The doctor will then slowly bring his or her hand back to the center, asking you to say when you can see the finger. A cover test helps the doctor evaluate how well your eyes work together. You will be asked to cover one eye and focus on a nearby or far away object. The doctor will then watch as you uncover the eye to see how quickly the second eye joins in focusing on the object. If it’s been a while since you had a comprehensive eye exam, it’s probably time to schedule an appointment. We hope you choose North Florida Cataract Specialists and Vision Care. With offices in Gainesville and Lake City, our physicians and staff provide outstanding service for all your eye care needs. Call us today at 352-373-4300. If you are living with cataracts, you may be debating whether or not to have surgery, and if so, when? Deciding to have any surgery is a very personal choice, one that should be discussed both with your physician and those close to you. That said, there are some basic guidelines that can help you decide if the time is right for you. First of all, you should know that surgery is the only effective treatment for cataracts, and cataracts get progressively worse over time. They will not halt or improve. Eventually, you will either need to have surgery or your cataracts will rob you completely of your vision. The best indicator of the right time for cataract surgery is the impact cataracts have on your quality of life. 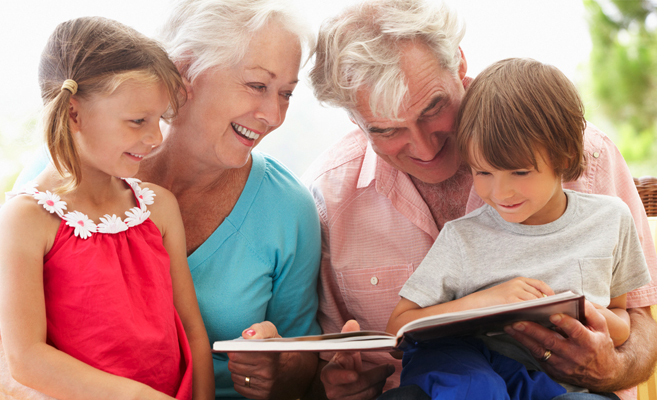 Early on, cataracts may have little effect on your ability to read, drive, watch TV or see people’s faces. If you are able to live and function comfortably with little interruption due to your cataracts, surgery can likely wait. Over time, however, the clouding, discoloration and other symptoms of cataracts will prevent you from enjoying many daily activities. As a result, some cataract sufferers become quite isolated. Unchecked, this can lead to additional medical and psychological problems; so don’t let things get to that point. As soon as you recognize your quality of life is suffering, contact your eye physician. Another factor to consider in timing your cataract surgery is access to support during recovery. Cataract surgery is an outpatient procedure, and today’s laser-assisted cataract surgeries require far less recover time. Still, you will at minimum need someone to drive you home from the surgery center. Beyond that, some patients may need minor assistance with daily activities for a day or two following surgery. If you don’t have family members or friends to fill this role, securing the short-term service of an in-home health aide may be a wise choice. If you suspect that you or someone you love may have cataracts, or if you were previously diagnosed and think now may be the right time for surgery, we would love to hear from you. Dr. Gregory Snodgrass has performed more than 20,000 successful cataract surgeries, and was the area’s first ophthalmologist to use the LenSx laser cataract system. Call us today at 352-373-4300 to schedule an appointment. What is a Femtosecond Laser for Cataract Surgery? If you’re considering laser-assisted surgery to correct cataracts, you may have heard the term “femtosecond laser” and wondered what exactly that is. Admittedly, physicians sometimes casually use words that aren’t familiar to most people. So, let’s explore this one. What is a femtosecond laser? Without getting too complicated, lasers are essentially high-energy, focused light beams used for a variety of applications, including medical procedures. A femtosecond laser produces light pulses so brief they have to be measured in “femtoseconds,” which translates to trillionths of a second. So, the femtosecond identifier is really just a technical designation. How is a femtosecond laser used for cataract surgery? 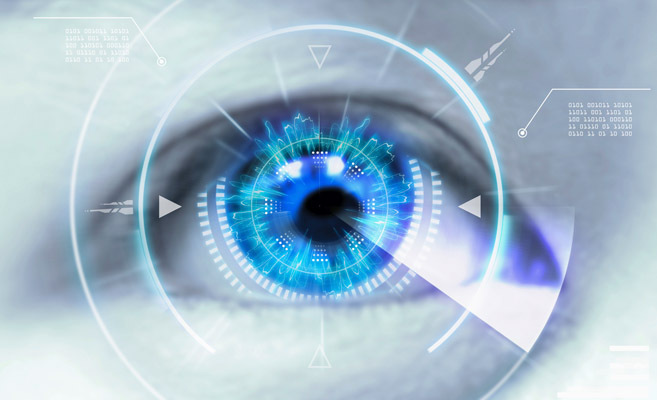 Femtosecond lasers are the key elements in some of the world’s finest laser-assisted cataract surgery systems. In these systems, computer-guided femtosecond lasers are used to make fine incisions with pinpoint accuracy. An ultrasonic energy-emitting probe then emulsifies (break ups and liquefies) the cataract-damaged lens, so it can be removed and replaced with an intraocular lens implant. The precision offered by these laser-assisted cataract surgical systems cannot be matched. LenSx also requires less ultrasonic energy to break up the affected lens, resulting in less trauma to the eye and fewer trauma-related side effects. Of course, having the right tools is one thing, knowing how to use them successfully is even more important. Is there an experienced femtosecond laser cataract surgeon in Gainesville? Yes, Dr. Gregory Snodgrass was the area’s first ophthalmologist to use the LenSx laser-assisted cataract surgery system. 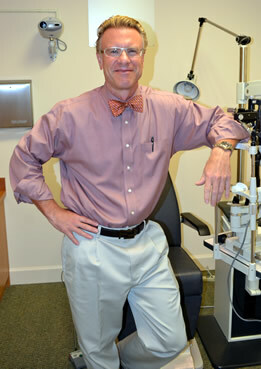 He has been an eye doctor in Gainesville for 30 years, and conducted more than 20,000 cataract surgeries in that time. He is well known as one of the area’s premier ophthalmologists, combining advanced skills, state-of-the-art technology and decades of experience to deliver outstanding results. 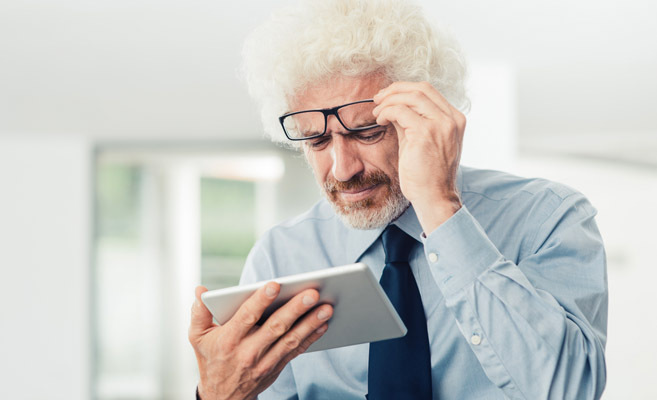 Even if you have already talked to another cataract surgeon, it may be a good idea to get a second opinion in order to fully understand your options. Dr. Snodgrass and the North Florida Cataract Specialists and Vision Care team will gladly review your cataract symptoms and answer any questions you may have, so you can make an informed decision about your cataract treatment. Most people wait far too long between eye exams. Many figure as long as their vision quality is “ok” and not adversely impacting quality of life, they can put off an eye exam a while longer. The trouble with that theory, however, is that many eye conditions progress without noticeable symptoms until it’s too late. In addition to vision challenges, eye exams can uncover a variety of undiagnosed health issues throughout the body, some of which can be life-threatening, like brain tumors, diabetes and high cholesterol. That’s just part of the reason the U.S. Centers for Disease Control and Prevention recommends regular eye exams. Comprehensive eye exams should not be confused with vision screenings. Vision screenings are generally just quick visual acuity tests designed to detect fairly obvious vision problems. A comprehensive eye exam is much more inclusive, reviewing everything from peripheral vision and pupillary response to eye muscle strength and eye pressure, among other things. Your pediatrician will look for common eye problems – lazy eye, crossed eyes, turned-out eyes. Assuming nothing substantive is obvious, a comprehensive eye exam can usually wait until between the ages of three and five. An eye exam is advisable prior to starting first grade. If everything is clear, follow up with exams every one to two years. Of course, comprehensive eye exams should be more frequent if you have known vision problems, a family history of eye disease or a chronic disease that may impact the eyes, like diabetes. For these patients, an annual exam should be the minimum. In some cases, every three to six months is advisable. To schedule your comprehensive eye exam with North Florida Cataract Specialists and Vision Care, contact us today at 352-373-4300.